Where do you think the market went in 2011? Come on. Take a guess. 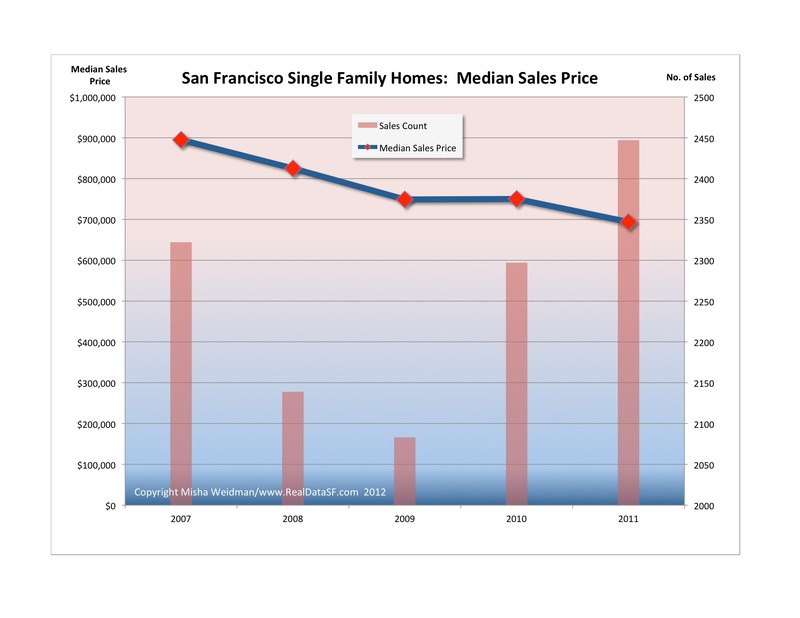 If you believe my own SF Association of Realtors “stronger affordability conditions, a lower cost of owning versus renting, and declining foreclosures, continue to steer the San Francisco housing market in a positive direction.” [January 2012 Market Focus Report]. To be honest, I’d be the first to say that 2011 seemed much less dreary than 2010. And I’m not just talking about the weather. There have been some sweet “check all the boxes” properties that have attracted real action, even while other worthy ones have languished. And, with the winter doldrums behind us, there’s lots of freshly-painted new faces coming to market. Alas, the numbers paint a less rosy story – certainly if you’re a seller. If you’re a buyer, there’s not a lot here to suggest you should be in a rush – though that might depend on what part of the market you’re looking at. There’s no way to say it other than that 2011 was the fourth year of decline in single family home prices in San Francisco overall. (The $1,000 increase in 2010 prices over 2009 doesn’t count.) Last year’s annual median price was down 7.5% from that of 2010. And even after accounting for the seasonal winter slowdown, there’s nothing in the monthly chart to suggest any upward momentum in prices in the last half of the year either. Quite the contrary: The year started well and then slid back down in the second half. 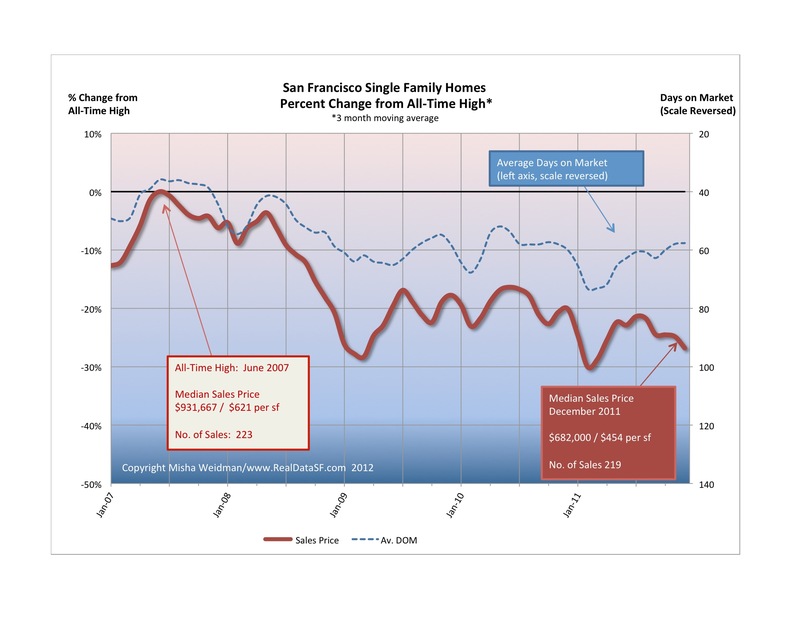 Taken as a whole, the San Francisco single family home market is down 27% from its all-time high and not far off its recent all-time lows. If there’s evidence of the “positive direction” mentioned in the Market Focus Report, it’s perhaps in the increasing number of sales (see the bars in the first chart) and the decreasing number of Days on Market (the dotted line in the second chart). Together those do indeed suggest that buyers are getting back in. 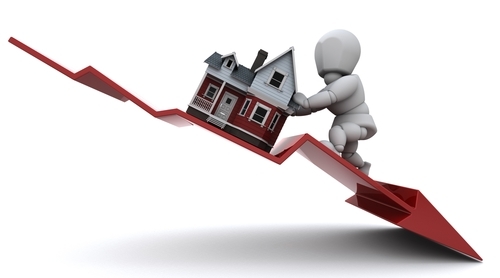 Coupled with reduced inventory and an economy that – for the moment at least – seems to be on the mend, maybe prices will be on the upswing in 2012. Not to mention all those soon to be minted Facebook gazillionaires. 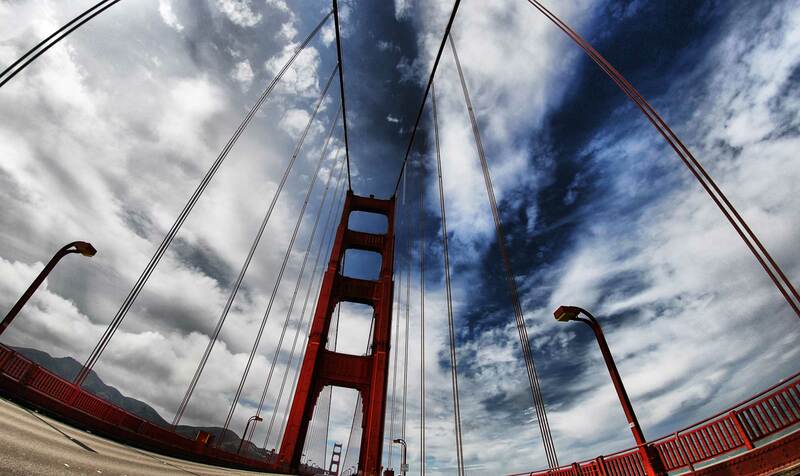 And a final note to my loyal readers: yes, it’s been too long since I’ve posted regularly here at RealdataSF. I’ll spare you my tale of database technology woes. Suffice it to say that you can count on the same great data as you’ve come to expect. However, rather than having all the answers before I put finger to keyboard, I’m going to break up the research into smaller pieces so that I can post more often. Wish me luck!